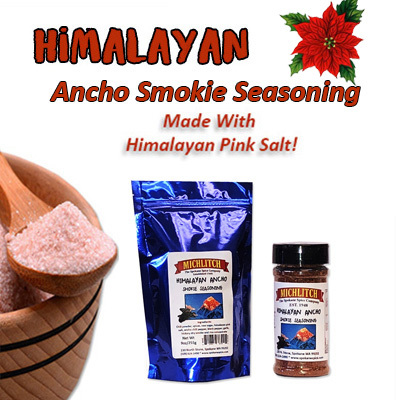 Himalayan Smokie Ancho Seasoning Pink Himalayan salt is one of the best-quality salts on the market. It is hand mined in the far reaches of the Himalayan mountains. They are one of the most pristine and untouched places on earth. Pink Himalayan Salt re-mineralizes the body with minerals and trace elements essential to our health and well being. This wonderful seasoning that is both smoky and spicy. 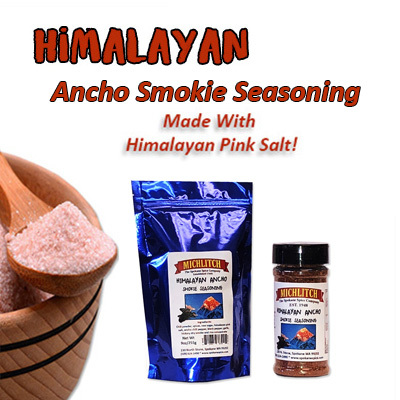 It is a blend of Himalayan salt, ancho chili and other fine ingredients and has a moderately spicy but rich flavor. Great on just about anything you would like to sprinkle it on!